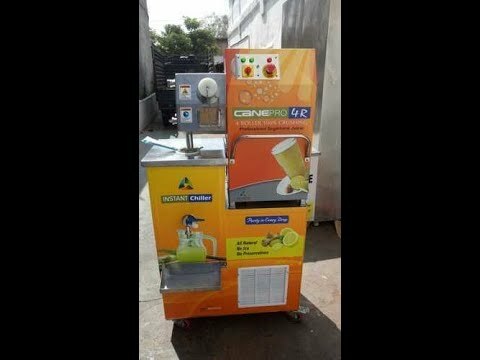 http://www.sgkindustries.com/ Leveraging on considerable industry experience, we have been offering our clients a quality range of Food Carts, Juice and soda Machines. Our product line encompasses Soda Cart, Coconut Water Pushcart, Coco Express, Sugarcane Juice Machine (in varied forms), Coconut Piercer, Soda Faucets and Sugar Cane Crusher. The products have features like dimensional accuracy, are corrosion and tear resistant and reliable in nature. Welcome to SGK Industries, Manufacturer & Exporter of Food Cart & Food Processing Machines. The company was established in the year 2007. With our State-of-the-art infrastructure & Wide client base, our Products find applications in various industries. Efficient quality, Capacious warehousing unit & Timely delivery are some of the plus points of our organization. Our Team comprise of Engineers, Quality Auditors, R & D personnel, Warehousing and packaging experts. Corrosion resistance, meticulously designed, Precision engineered & Dimensional accuracy are some of the attributes of our products. We offer a diverse range of Food Cart & Processing Machines. Owing to the consistent performance of our products, our food cart is widely appreciated across the market. Soda Faucets, Coconut Piercer, Sugar Cane Crusher & Juice machines are available under Food Processing Machines.